24-year-old Newton Morgan was reportedly shot and injured at the Bellevue Heights apartment complex Thursday morning, November 3, 2016. 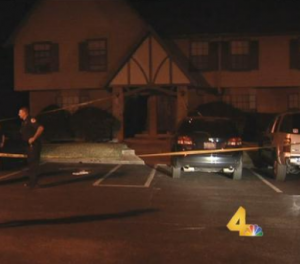 According to The Tennessean, the shooting occurred “shortly after 3 a.m. at Bellevue Heights Apartments on the 1500 block of Amberwood Circle.” Mr. Morgan was apparently discovered with multiple gunshot wounds to the torso and transported to Vanderbilt University Medical Hospital. His current condition has not been released. Officers reportedly discovered Mr. Morgan’s stolen vehicle following the shooting. A second man was dropped off at a hospital with gunshot wounds, per media reports. It is unclear whether that person was a victim or involved in the initial shooting. Have there been prior incidents of violence on property and, if so, were any additional security precautions implemented by the property owner or management to protect residents?